For the uninitiated, Bloomsday is a celebration of James Joyce’s magnum opus Ulysses, a novel in which the events all take place over the course of one day: June 16th. From Dublin to New York, Genoa to Brazil, Bloomsday is commemorated as the world over pays tribute through performances of Ulysses, visits to prominent places in the novel (if you’re lucky enough to be in Dublin! ), and performances of Irish music. There’s even a Twitter adaptation of Ulysses, and a “Which Ulysses Character Are You?” Quiz. Bloomsday is also a celebration of James Joyce’s own life and literary achievements – a reflection of how heavily the book was informed by Joyce’s personal experience. 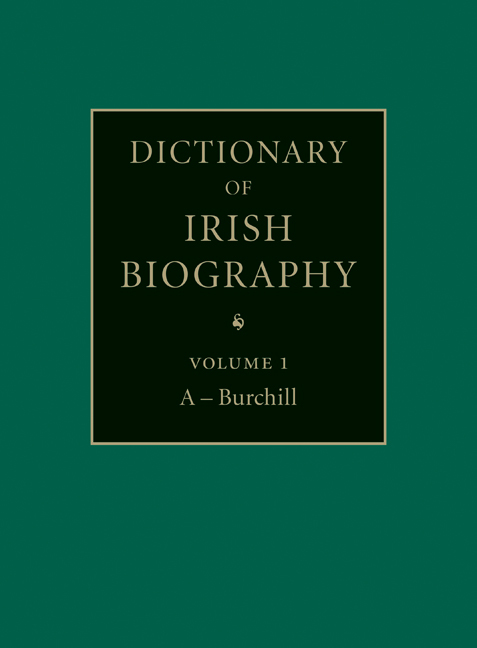 In Saturday’s Irish Times, Dictionary of Irish Biography contributor Bridget Hourican charts a who’s who of characters from Dublin’s most famous novel – full analysis can be found here. But what about James Joyce? Who was he and where does the saga of Ulysses fit in his life story? Joyce, James (Augustine Aloysius) (1882–1941), writer, was born 2 February 1882 in 41 Brighton Square, Rathgar, Dublin, eldest surviving child among four sons and six daughters of John Stanislaus Joyce (qv), from Cork, and May Joyce (née Murray), from Dublin. His mother also had several miscarriages, the first before James was born. John Stanislaus, an only child, had inherited properties in Cork. At the time of his marriage in 1880, he was described in the certificate as a ‘gentleman’ and, apart from a position in the Collector of Rates office, acquired at this time, he never had any other settled employment. After the death of his political hero Charles Stewart Parnell (qv) in October 1891, he lost the position and was pensioned off on a modest allowance at the age of only 42. By then there were eight children and the family’s increasingly rapid decline into poverty, marked by frequent changes of address, began soon after. Parnell would loom large in James Joyce’s imagination as a writer, a noble, mythic figure, standing firm and aloof before the priestly and other powers which betrayed him. In the image of Parnell, Joyce saw his own reflection. Ulysses; Zurich In mid 1915, with Dubliners in print, ‘A portrait’ completed, the school closed, and the city emptying as the war spread, Joyce began to write ‘Ulysses’. He had originally envisaged a story for Dubliners on this theme. The idea had first come to him as a short story in Rome but he had never developed it beyond the title. It seems at first to be a continuation of the previous novel, picking up Stephen’s story some years later. But the focus widens in the fourth episode as we meet the book’s central figure, the Jewish advertisement-canvasser Leopold Bloom. The potential of the stream of consciousness technique, or monologue intérieur, as the French critic Valéry Larbaud would call it, which Joyce had already made limited use of in ‘A portrait’, is now brought to full realisation as Bloom moves through an ordinary day in Dublin. Joyce claimed to have derived the technique from Édouard Dujardin’s 1888 novel Les lauriers sont coupés, which he had originally read on his first visit to Paris in 1903. A huge cast of characters, some taken from Dubliners as well as from ‘A portrait’, share the day and the city with Bloom. Joyce took the device of using classical myth as a kind of subterranean commentary on the main action much further than in ‘A portrait’. 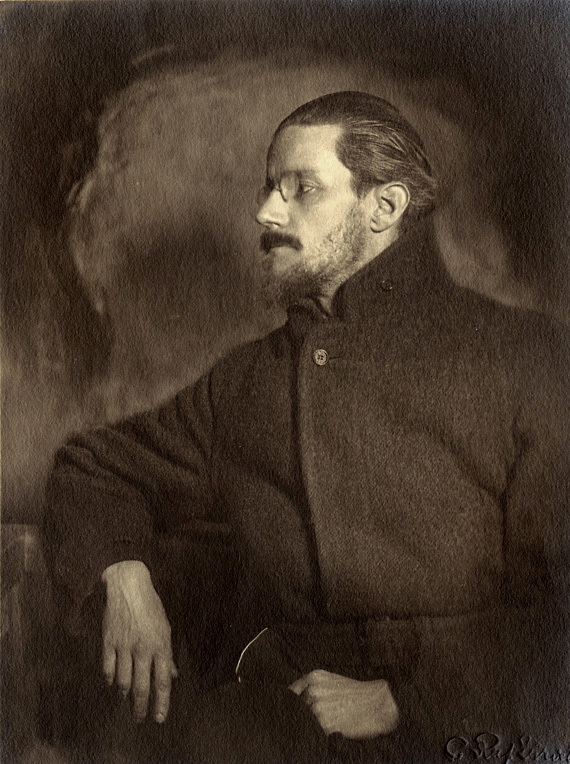 The density with which he conveys the inner life of Bloom, mock-heroic in his tawdry littleness by contrast with his Homeric counterpart and at the same time a kind of Everyman in his doggedly decent humanity, as well as the daring experiment with different styles through successive episodes of ‘Ulysses’, foreshadowed the even more ambitious project Joyce would later undertake in ‘Finnegans Wake’. But before he could bring ‘Ulysses’ beyond the beginning of the third chapter, or put the finishing touches to ‘Exiles’, as the war closed round them, he and his family were forced to become exiles themselves from what Joyce was by then able to call la nostra bella Trieste (Selected letters, 170). Stanislaus, indiscreet in his profession of irredentist views, had already been interned and Eileen had married a Czech banker, Frantisek Schaurek, in April (with Joyce standing as best man in the religious wedding ceremony), and gone to Prague. With crucial assistance from influential Triestines who were both his students and his friends, Joyce was able to leave the city on 27 June 1915 and take his family to Zurich in neutral Switzerland for the duration of the war. Their first stop was the guesthouse at 16 Reitergasse in which they had stayed briefly on their way to Trieste in 1904. After a couple of weeks they found a small two-room flat at Reinhardstrasse 7, from which they moved on in October to Kreuzstrasse 10. In accordance with an all-too-familiar pattern, there would be four more addresses in Zurich: two in Seefeldstrasse (numbers 54 and 73), between March 1916 and January 1918, and two in Universitätsstrasse (38 and 29), during the remaining twenty months spent in the city. Meanwhile, undaunted by the sharp change of climate and environment, as well as the new financial anxieties occasioned by having no job and, at first, no students, Joyce resumed work on ‘Ulysses’. His capacity to persevere with his writing, irrespective of the hardship of his situation, was a lifelong characteristic. Some years later, in Paris, he wondered whether it was attributable to the ‘influence of ad maiorem dei gloriam, perhaps’ (Letters of James Joyce, iii, 84), alluding to the Jesuit motto and the moral – if not religious – training he had received as a schoolboy. By mid July 1915 he had finished ‘Exiles’, his intense, slow-moving, Ibsenesque, slightly wooden drama, in what he called ‘three cat-and-mouse acts’ (Poems and Exiles, ed. J. C. C. Mays (1992), 351), exploring the theme of faithfulness and infidelity, with strong undertones of his own relationship with Nora. Joyce had been anxious to have ‘A portrait’, serialisation of which in the Egoist had ended in September, finally published in book form, so that he could concentrate on ‘Ulysses’. Despite misgivings about its possibly narrow appeal, the New York publisher B. W. Huebsch brought it out in the US on 29 December 1916. (Its prototype, ‘Stephen Hero’, was eventually published three years after Joyce’s death, in 1944, edited by Theodore Spencer; a new edition by John J. Slocum and Herbert Cahoon, with additional material, appeared in 1955.) The response, although muffled by wartime conditions, was positive. Using sheets imported from Richards, Huebsch also published an American edition of Dubliners in the same month. Harriet Shaw Weaver, who had become principal editor of the Egoist in June 1914, took 750 copies of Huebsch’s edition of A portrait and published the book in England under the imprint of the Egoist Press in February 1917. It quickly sold out. ‘Exiles’ was less successful. Grant Richards finally agreed to publish it and it appeared on 25 May 1918, Huebsch producing an American edition at the same time. But when the play was given its première, in German in Munich, on 7 August, it lasted only one night before being taken off. It did better in New York in February 1925, running for forty-one performances, and has been produced occasionally since. Joyce, like Stephen Dedalus near-sighted from early youth, had had occasional troubles with his eyes during the early years in Trieste, but an acute attack of glaucoma in January 1917 was the first serious sign of the troubles to come. A further attack in August led to an operation on his right eye, leaving some lasting impairment. His eye troubles coincided with exacerbation of his financial problems. He had acquired some language students through his contacts in Trieste, a number of whom, as there, were to become his personal friends. But with no income yet accruing from his writing and no money from any other source, he was dependent on help wherever he could find it. The Royal Literary Fund, at the instigation of Yeats (urged on by Pound), made him a grant in 1915, the first time his still mostly unpublished work had been officially recognised. The following year, thanks to the same intercessors, he was given an allowance from the civil list and Harriet Weaver sent him £50 on foot of his serialised novel in the Egoist. Weaver, daughter of a country doctor from Cheshire, who herself had private means and radical sympathies in politics and literature, began to send Joyce regular sums of money in March 1917, at first anonymously, through her London solicitors. Over succeeding years she gave him thousands of pounds and maintained a supportive interest in his work, his well-being, and his family, even in the face of coolness and rebuffs, for the rest of his life. From the spring of 1918 he also received a monthly allowance of 1,000 Swiss francs from money deposited in a local bank by another initially anonymous benefactor, who turned out to be the American heiress Mrs Harold Rockefeller McCormick. Although this dried up in 1919, it helped him through a difficult time. Thanks, above all, to Miss Weaver, despite his inveterate capacity for extravagance, he and the family would never be completely without resources again and he was able to give himself more completely to the composition of ‘Ulysses’, now making rapid progress. By June 1917 he had written six episodes and was working on a seventh. By the end of the year he had sent off the first part of the book, the ‘Telemachiad’, for typing. Early in 1918 these episodes were sent through Pound to the avant-garde American Little Review, edited by Margaret Anderson and Jane Heap, who quickly agreed to serial publication, beginning in March. By the spring of 1919 Joyce had dispatched the tenth episode, ‘Wandering rocks’, to Pound. But legal problems now arose. In January 1919 the US post office seized and destroyed copies of the Little Review, containing the first part of ‘Lestrygonians’, and acted against the magazine again when the April issue contained the second half of ‘Scylla and Charybdis’. Undeterred, Joyce completed the twelfth episode, ‘Cyclops’, and was also working on the fourteenth, ‘Oxen of the sun’, before leaving Zurich in October. By then, he had found an intellectual soulmate in the person of the English artist, Frank Budgen, whom he encountered for the first time in the spring of 1918. Budgen’s sociability, self-taught erudition, and capacity to listen enabled Joyce to talk through his ever more complex enterprise, and helped him to keep going. In April he had legal problems of a more farcical nature through his involvement with the English Players, a theatrical group he and an English friend, Claud Sykes, had founded. A row about payment became personal between him and one of the actors, Henry Carr, and ended up in court. The matter dragged on until February 1919, when it was finally settled to Joyce’s disadvantage. He had his revenge, as was his wont, by unflattering mention of Carr and his supporters in his new novel. Ulysses; Trieste, Paris, and publication The family returned to Trieste in October 1919. As a temporary expedient, which lasted until they departed for Paris, they shared the apartment at Via della Sanità 2 (later Armando Diaz) in which Stanislaus, free again, and the Schaureks, back from Prague, had already established themselves. Despite the overcrowded conditions and strained relations with Stanislaus, Joyce began work on the thirteenth episode of ‘Ulysses’, ‘Nausicaa’. The figure of Gerty McDowell in this bore some resemblance to two young women he had encountered in Switzerland. He had met Gertrude Kaempffer, a young doctor, in November 1917 in Locarno, where he was escaping Zurich’s muggy climate and she was recovering from tuberculosis. His overtures were not reciprocated, though he did meet her again afterwards in Zurich. He was a little more successful with Marthe Fleischmann, his neighbour in Universitätstrasse, a year later and they maintained contact over some months, until her guardian intervened. She also supplied elements in the character of Martha Clifford, Bloom’s penfriend in ‘Ulysses’. Trieste, now part of Italy, had become much more of a cultural backwater. Stanislaus was distant and Joyce missed the stimulation of Budgen’s company. Post-war inflation had driven up the cost of living and he was forced to resume his old teaching job at the ‘Revoltella’ on a part-time basis. He took no private students, too preoccupied with the task of completing ‘Ulysses’. This was becoming more daunting, both because of his weak eyes and the ever greater intricacy of what he was attempting. He marked his thirty-eighth birthday by completing ‘Nausicaa’ and then moved on to ‘Oxen of the sun’, the episode set in Holles St. maternity hospital, in which the prose style develops in imitation of the child’s nine-month gestation. By mid May 1920 he had completed what he regarded as the most difficult episode in the book. Preparing to embark on ‘Circe’, which turned out to be by far the longest episode of all, and unable to find a flat he could afford in Trieste in which to have the necessary peace of mind for composition, he thought briefly of going to Ireland for three months to complete his novel. But, at Pound’s suggestion, he took his family to Paris instead, arriving on 8 July 1920. Intending to stay a few months, he remained there for almost the rest of his life. The intellectual climate was more stimulating and more sympathetic to his work than anything he had previously experienced and he was soon being introduced, initially through Pound, not only to other English-speaking expatriate writers but to prominent members of the French literary and artistic establishment as well. Valéry Larbaud, the leading French exponent of English literature, saw ‘Circe’, which Joyce finished by December despite the lack of materials left behind in Trieste, and told him that this chapter alone would have been sufficient to make the reputation of a French writer for life. Pound directed the Joyces to a private hotel at 9 rue de l’Université (7e), where T. S. Eliot and other writers had stayed in the past. After a week they managed to borrow a small flat in Passy, 5 rue de l’Assomption (16e), from the future French translator of ‘A portrait’, Ludmila Bloch-Savitsky and her husband, until the end of October. When this was reclaimed, the family moved back to the hotel, but by December they were driven by the cold and damp to take an expensive flat at 5 Boulevard Raspail (7e) for six months, paying rent they could ill afford with help from friends. Larbaud lent them his luxurious apartment at 71 rue Cardinal Lemoine (5e) in June 1921, while he was away. On his return in October, they went back to the hotel once more until October 1922. So much impermanence was repugnant to Nora and her desire to give her continually uprooted children a more stable environment, but Joyce’s own focus was directed solely to his work. The US post office made their fourth seizure of the Little Review, this time the July–August 1920 issue containing the second part of ‘Nausicaa’, and, soon after, the New York Society for the Prevention of Vice lodged a formal complaint based on this. In February 1921 the magazine’s editors were found guilty of publishing obscenity, fined, and effectively barred from continuing serialisation of the novel. Huebsch consequently abandoned his plans to publish it in the US. Harriet Weaver had already encountered insuperable obstacles to her proposal to have the book printed in England and publish it from the Egoist Press. Prompted by Joyce himself, however, Sylvia Beach, the American proprietor of a recently opened literary bookshop on the Left Bank called ‘Shakespeare and Company’, whom he had met shortly after his arrival in the city, offered to publish the book in a limited edition of 1,000 copies, to be printed by Maurice Darantière in Dijon. On 7 December, to promote interest in ‘Ulysses’, Beach and her friend Adrienne Monnier, who also ran a bookshop, La Maison des Amis des Livres, on the rue de l’Odéon, where Beach soon moved hers, organised a lecture on the book by Larbaud, illustrated by some extracts translated into French. More than 200 people attended, while Joyce sat hidden behind a screen, emerging only at the end to acknowledge the applause. Despite his deteriorating eyesight and his frustrating penchant for using proof-correction as the opportunity for considerably expanding what he had already written, the first copies of Ulysses appeared on his fortieth birthday, 2 February 1922. The book was quickly a sensation. 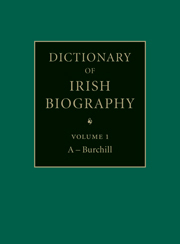 A long list of subscribers included Winston Churchill, Desmond FitzGerald (qv), André Gide, Hemingway, and Yeats, and its critical success was assured by reviews which recognised the sheer scale of its author’s accomplishment, even where the reviewers could not yet fully understand or appreciate his methods and intentions. Helped by Larbaud’s advocacy, French translations of his earlier work began to appear in the course of 1922. In October an edition of 2,000 copies was published in Paris for the Egoist Press, with plates made from Darantière’s type. An attempt to export 500 copies of this edition to the US, where it had been effectively banned by the Little Review judgment, was foiled when they were seized by the New York postal authority. In January 1923 499 copies printed to replace these were confiscated by customs in Folkestone. But the book sold well, and by January 1924 Sylvia Beach was able to bring out an unlimited edition, and seven more editions followed until May 1930. In April 1922 Nora fulfilled a longstanding ambition to visit Ireland and see her family, taking the children with her. Joyce passionately opposed the project and felt himself justified when they hurried home, frightened by the civil war. Their train from Galway was shot at and Joyce ludicrously chose to regard this as a personal attack on himself. Despite his obsession with Dublin, his attitude towards his native country grew increasingly bitter in the years that followed. In August 1922, ‘acts of kindness in the past’ notwithstanding, he angrily refused Lady Gregory permission to use a letter of his, or even his name, in a forthcoming book on the Irish literary movement, on the grounds that, over twenty years, ‘no mention of me or of my struggles or of my writings’ had ever been made publicly by anyone connected with that movement (Selected letters, 290). In the same churlish spirit, in October 1932 he declined an invitation to join the Academy of Irish Letters which Yeats and G. B. Shaw (qv) were founding. Ireland had driven him into exile, failing to recognise his genius. It could not claim him back now, when he had become famous. On a side note, the popularity of Bloomsday speaks to a global fascination with Irish culture, and what better way to know a country than through its history? 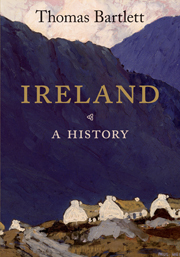 Thomas Bartlett’s forthcoming Ireland: A History (August 2010) is the first major, single-volume history that provides a comprehensive, in-depth analysis of events over the last sixteen centuries. Beginning in 431 AD (the first authentic date in Irish history) right up to the present, Ireland seamlessly integrates economic, social, cultural, and intellectual history to form an authoritative road map to the two states. Did you know that Dublin (from Dubh Linn which means “black pool”) was originally a Viking settlement? And in 1796, leading Irish nationalist Theobald Wolfe Tone met with Napoleon Bonaparte and other French ministers to solicit support for a French invasion of Ireland. (Can you imagine if that was successful?!) Plus James Hoban, an Irish-born architect, designed the White House. Talk about trivia – this book is jam-packed.